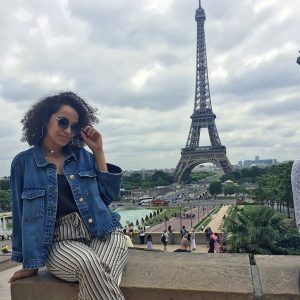 Mariah Scott is a returning study abroad student who spent her Spring 2018 semester studying abroad at the Université de Rennes 2 in Rennes, France. She is a junior with a double major in English and French with a minor in Global Affairs and International Development. MS: I chose to study at Rennes 2 because of the CIREFE program that allowed me to take French classes organized for foreign students but taught by native French speakers. These classes were easily transferable for major credit at UNCG. MS: The most impactful lesson that I learned while studying abroad was the influence of globalization on societies and cultures. MS: I made many friends from different countries around the world that enriched the social aspect of my time abroad, but also I was a student in a classroom. I fell in love with my major again through my professor’s way of leading our class and the unique cultural component that came from living in a different country. I learned about the language and culture by day, and by night I explored the city, practicing what I learned in class.